Singapore (AFP) - It isn't easy when your father is footballing royalty -- and the president of Liberia to boot. But for 18-year-old Tim Weah, son of the legendary player-turned-politician George, having a famous name on his shirt isn't proving a hindrance. Weah wasn't even born during his father's playing career, which included the 1995 Ballon d'Or and one of the greatest goals in history, for AC Milan -- which he now watches on YouTube. He admits his father is on a "pedestal", but he hasn't let the pressure affect a burgeoning career for Paris Saint-Germain and the United States, co-host of the World Cup in 2026, when he will be 26. 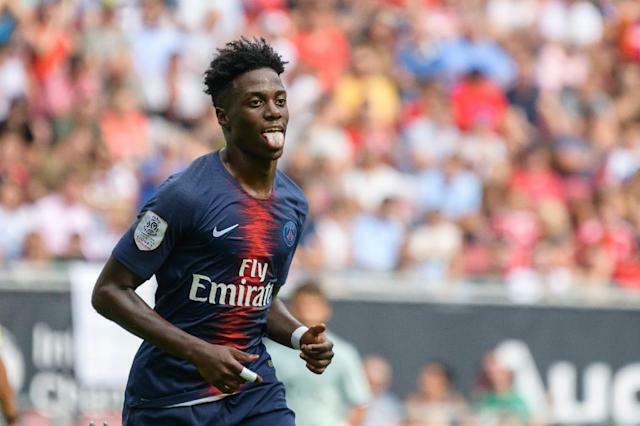 After standing out at junior level, American-born Weah netted his first senior international goal in May, and got off the mark for PSG -- where his father starred in the 1990s -- this month against Bayern Munich. "When I'm out there, it's just me and the ball and my teammates and that's all I really care about," he said, after catching the eye in Saturday's 5-1 pre-season defeat to Arsenal in Singapore. "The name on my back, I don't really see it, it's the fans that are seeing it. So no pressure, I just try to play my game." Early indications are good for the centre-forward, who is strong and skillful, fast, astute, and has an eye for goal -- and his father's knack for the spectacular. While he hasn't dribbled from his own penalty box to score, as his father famously did against Verona in 1996, Weah did hit a screamer during his hat-trick against Paraguay at last year's Under-17 World Cup, a goal he accurately describes as a "complete banger". On Saturday, Weah twice came close to scoring for a youthful PSG side, and earned the penalty that brought their only goal when he drew a foul from Sead Kolasinac. But he says he is happy to bide his time and wait for opportunities at star-studded PSG, where he can learn from the fearsome strike force of Neymar, Kylian Mbappe and Edinson Cavani. "With this type of player, I just learn maturity, just be comfortable on the ball and be yourself out there, because no one can take that from you," Weah said. "I watch these players all the time. At the World Cup I was watching them and I took some stuff from their games as far as being confident, being skillful (is concerned)." Beyond his own development, there is another goal in sight for Weah, a proud American who wants to use the skills he learns in Paris to bring his country success. "Being from America, I play with a lot of heart, that's one thing that we Americans have and that's what I try to do and give out there on the pitch every day," he said. 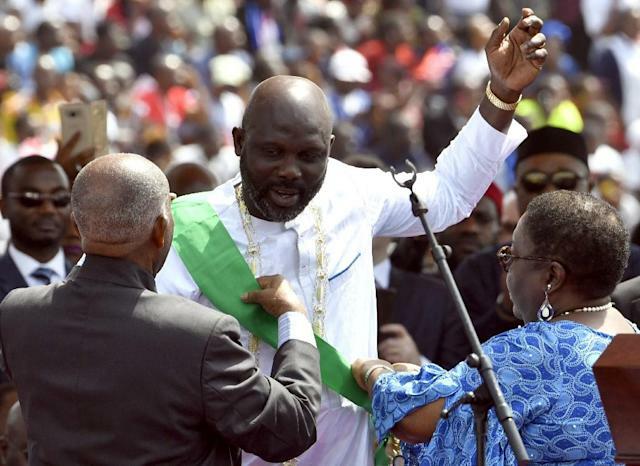 As his career surges, Weah said he is getting "great advice" from both his father and his mother. But he stresses that any achievements on the pitch are all his own. "I still watch his videos, I try to take something from it but the game that you guys see out there is all me," he said. "That's all the stuff that I've worked on over the years. I'm almost there but I've got to keep pushing, I've got to keep working hard and we'll see where this season takes me."